1worldcommunication.org has been registered for 19 years. It is ranked #8,200,917 in the world. Google's PageRank is 4/10. Its server is hosted in Davis, United States and the address of the server is 66.175.58.11. 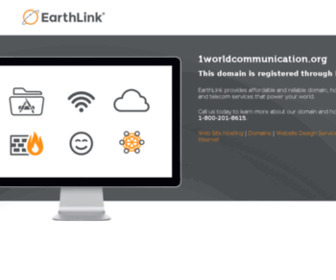 Where is 1worldcommunication.org website's server located? This site has 1 server, the server is located in Davis, United States. Here we know the reputation of 1worldcommunication.org through several ways. From the chart below, we know that the safety status of the site is safe. From Jul 16, 2013 till now, we detected 1 times on 1worldcommunication.org website. we found that the average Google pagerank is 4. Recently the site was detected on Jul 16, 2013, the Google pagerank is 4. From Jul 16, 2013 till now, we detected 1 times on 1worldcommunication.org website. we found that this site has an average of 62 backlinks. Recently the site was detected on Jul 16, 2013, there are about 62 backlinks were found. What websites link to 1worldcommunication.org? The websites below are linking to 1worldcommunication.org. What websites are similar to 1worldcommunication.org website? The websites below are similar to it. This is the domain name information about 1worldcommunication.org. With this information, you will know that it has been registered for 19 years, will expire on 10 Jul 2018, was registered on the website tucows.com, etc.